Convenient and easy to use, these Sublime Bronze Towelettes deliver a streak-free, natural looking tan. With enough self-tanner for one application, each towelette is perfect for at home or on the go. Made with vitamin E and gentle AHAs* to provide a beautiful, 100% natural-looking tan and ultra-smooth skin. Results may vary. Continue to use Sublime Bronze until you have reached your desired level of tan. *With alpha hydroxyl acid derivative. 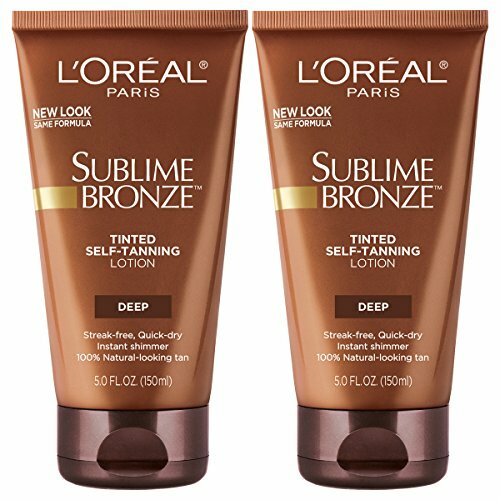 L'Oreal Paris Sublime Bronze Tinted Self-Tanning Lotion, Medium Natural Tan, 5 fl. Treat yourself to an instant, streak-free tan with Sublime Bronze Tinted Self-Tanning Lotion in Medium Natural Tan. The tinted guide color provides an instant bronze glow with subtle shimmer while a streak-free sunless tan develops. Vitamin E and gentle AHAs* leave the skin feeling smooth and soft. Results may vary. Continue to use Sublime Bronze until you have reached your desired level of tan. *With alpha hydroxyl acid derivative. 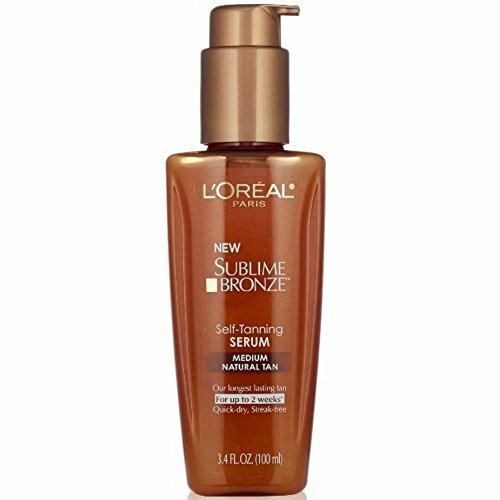 L'Oreal Paris Sublime Bronze Self-Tanning Serum, Medium Natural Tan, 3.4 fl. Sublime Bronze Self-Tanning Serum will have you looking sun-kissed and golden year-round with a naturally bronzed glow that lasts for up to 2 weeks*. The streak-free, no fuss formula is quick-drying and foolproof for skin that looks radiant in every climate. *Instrumental and visual assessment: when applied once per day, for 3 consecutive days. *Our longest-lasting tan: Up to 2 weeks. Our longest-lasting tan: Up to 2 weeks. Sublime Bronze ProPerfect Salon Airbrush Self-Tanning Mist gives you salon perfect tanning results at home. Inspired by professional techniques, the super-fine 360° continuous mist coats skin evenly with the wide angled jet applicator and dries instantly, allowing for ultra-even application and natural-looking, streak-free results — even on the areas that are hardest to reach, like the back of your legs. Made with vitamin E and gentle AHAs* to provide a beautiful, 100% natural-looking tan and ultra-smooth skin. Results may vary. Continue to use Sublime Bronze until you have reached your desired level of tan. *With alpha hydroxyl acid derivative. 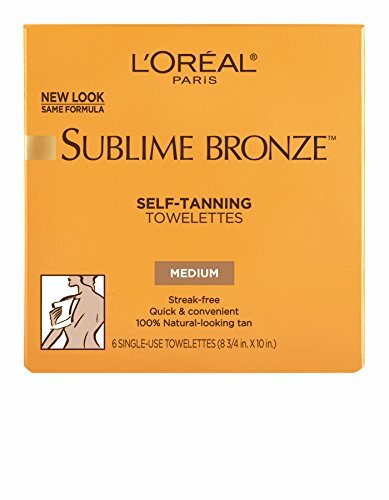 L'Oréal Paris Sublime Bronze Hydrating Self-Tanning Milk, Medium, 5.5 fl. Sublime Bronze Hydrating Self-Tanning Milk in Medium is designed to gradually deliver an even, bronzed glow while softening and nourishing skin. Use alone as a gradual sunless self-tanner three times per week or between other self-tanning applications (not exceeding three times per week) to maintain a streak-free glow. Treat yourself to an instant, streak-free tan with Sublime Bronze Tinted Self-Tanning Lotion in Deep Natural Tan. The tinted guide color provides an instant bronze glow with subtle shimmer while a streak-free sunless tan develops. Vitamin E and gentle AHAs leave the skin feeling smooth and soft. Results may vary. Continue to use Sublime Bronze until you have reached your desired level of tan. With alpha hydroxyl acid (AHA) derivative. Go from pale princess to luminous bronze goddess in an instant. With light-reflecting micro-pearls, Sublime Bronze Luminous Bronzer instantly illuminates your skin for a natural-looking, long-lasting bronze glow. Enriched with fast-action self-tanners and vitamin E, a powerful anti-oxidant, this quick-drying lotion replenishes skin as your sunless tan develops. A beautifully radiant sun-kissed look, streak-free, sun-free. All with a new deliciously fresh summer scent. Now, summer never has to end. 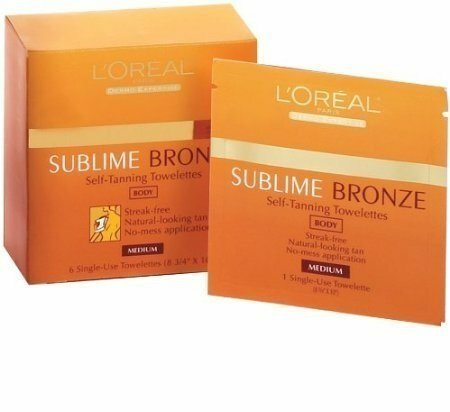 L'Oreal Paris Sublime Bronze Self-Tanning Lotion, Medium, 5 fl. 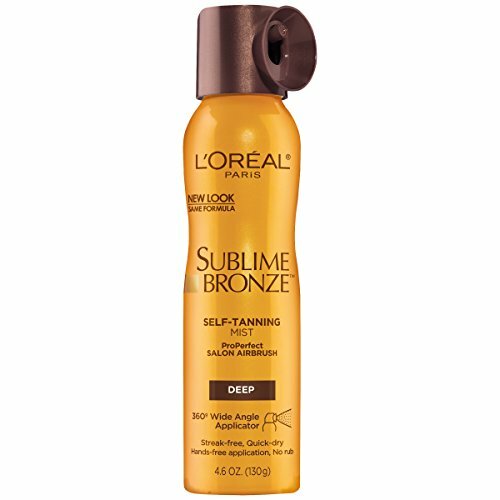 Sublime Bronze Self-Tanning Lotion in Medium Natural Tan moisturizes your skin while a perfect sunless tan develops. This lotion combines Vitamin E and gentle AHAs* to provide a beautiful, 100% natural-looking, streak-free tan. Use Sublime Bronze daily until you have reached your desired level of tan, and then apply 1-2 times per week. *With alpha hydroxyl acid derivative. Convenient and easy to use, these Sublime Bronze Towelettes for Body create a streak-free, natural looking tan. With enough self-tanner for one application, each towelette is perfect for at home or on the go. Made with Vitamin E and gentle Alpha Hydroxyl Acid (AHA) derivative to provide beautiful, 100% natural-looking tan and ultra-smooth skin. Your tan will be two shades darker than your natural skin tone. Results may vary. Continue to use Sublime Bronze until you have reached your desired level of tan. 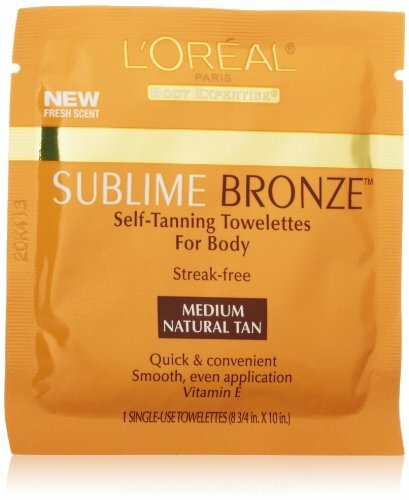 The L'oreal Sublime bronze self-tanning towelettes give you a fresh, sun-kissed look. The tanner is easy to use to create a streak-free tan. Made with vitamin E and AHAs to help keep your skin healthy. Your tan develops within an hour of application. Available in a pack of 6 individually packed wipes. Looking for more Loreal Tanning similar ideas? Try to explore these searches: Heart Fishing T-Shirt, Classic Cotton Crew Socks, and Oneida Serving Flatware. Shopwion.com is the smartest way for comparison shopping: compare prices from most trusted leading online stores for best Loreal Tanning, Love Playing Card, Duty Pegboard Hooks, Tanning Loreal . Don't miss this Loreal Tanning today, April 24, 2019 deals, updated daily.